Want to quickly see how the open-source software AdaptCMS works? You'll find a free and updated demo installation of AdaptCMS here. We are currently updating the AdaptCMS demo. Please check back shortly. There will be a new version up soon. AdaptCMS is a free open source content management system developed using the cakePHP framework, jQuery, Bootstrap and API functionality. It was initially started by Charlie Page in 2006, and since then he has been working on and off on the project. 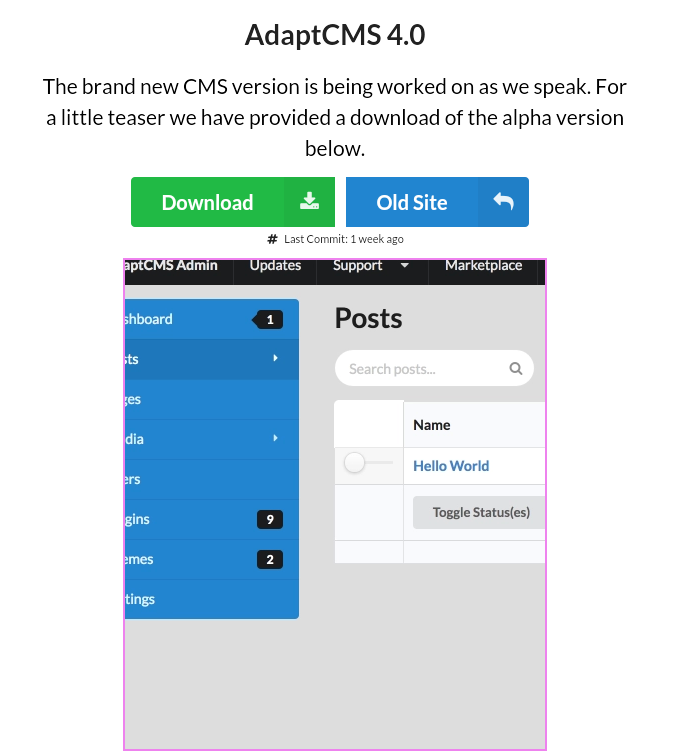 AdaptCMS is also being supported by a community of developers who are working on developing new features and releasing new versions of the content management system. 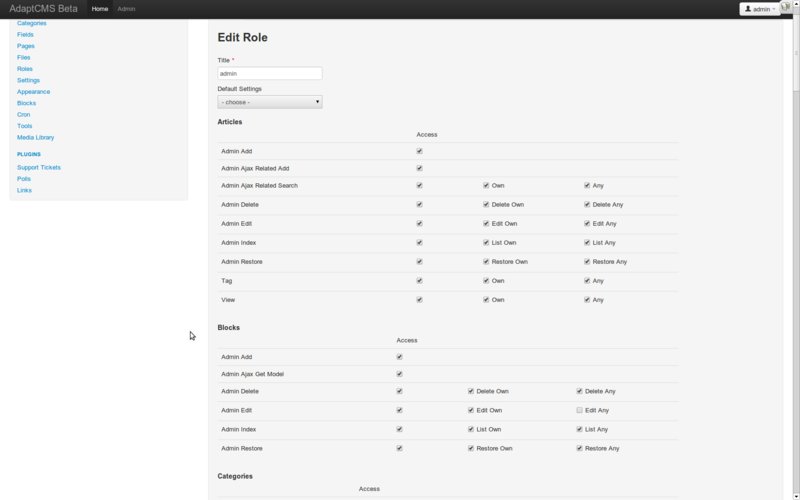 AdaptCMS uses Bootstrap to ensure a pleasant experience whether you are on a desktop or a mobile phone. 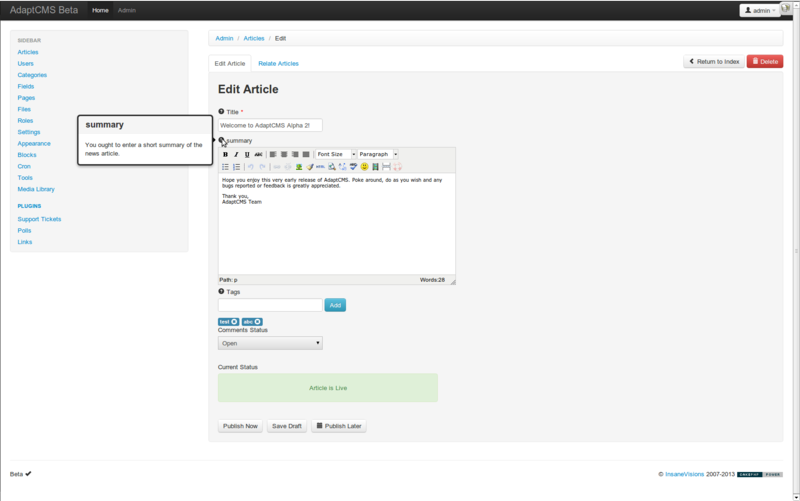 It features can be expanded through its plugin system and you can change the appearance of your online demo using themes. To get a review of this content management system use the link below to download the latest version and set up up your own AdaptCMS demo. 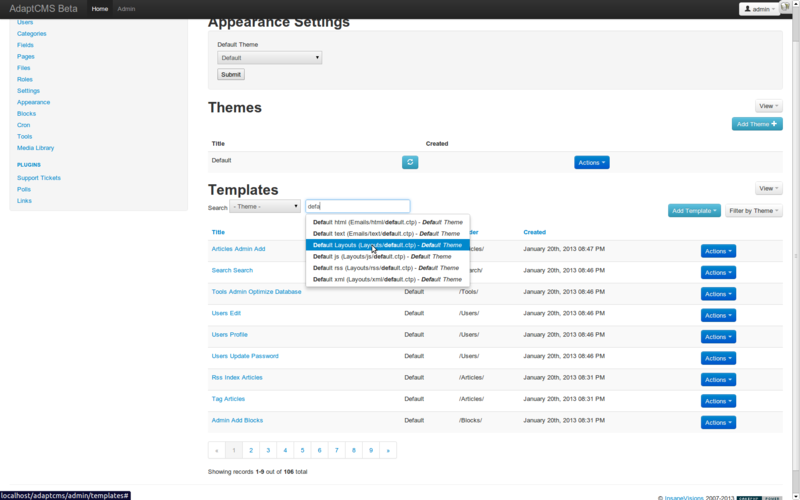 The screenshots below will give you a preview of how an admin demo looks like and how you can customize the design and user interface of your AdaptCMS demo by installing a new theme. 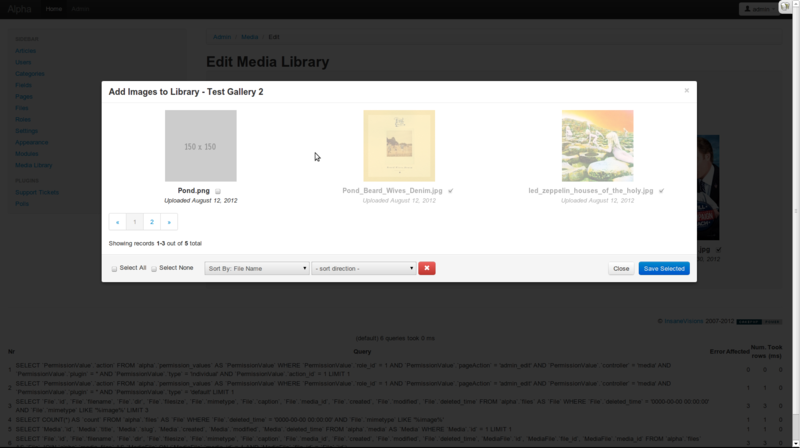 Some examples of AdaptCMS features include article, media and file management, full user permissions and an API that allows you to enhance current features through plugins and change the design of your demo site with themes. The installation process is fairly easy and you can find all the documentation you need on their official website. There you can also try the AdaptCMS demo to get a better understanding of its features. The latest version available for download is 4.0 and was released on May 30, 2017 under the BSD License.